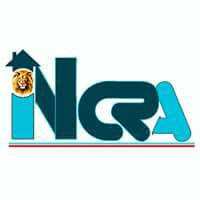 INCRA COMMENDS THE RIVERS STATE POLICE COMMAND OVER VISIBLE REDUCTION IN CRIME RATE. The Inter-ethnic Network for Chibuike Rotimi Amaechi, INCRA, commends the Rivers State Police Command, over the conspicuous reduction in insecurity and crime rate which had menaced the State and lingered for over two years now. It is trite knowledge that the State have had to grapple with assurgent crime rate and threatening insecurity in the last couple of years without being able to curb the menace. The security situation in the State took an irretrievable nosedive shortly after the Wike-led Government came on board. Purely out of neglect, directionless and want of tact and wits, the Wike-led Government could not consolidate on the robust and efficient security architecture inherited from the Amaechi-led Government in the State. The massive gains made by Rt. Hon. Chibuike Rotimi Amaechi eroded and diminished progressively, the potent security structures were effectively dismantled directly or indirectly by the Wike Government giving way to hoodlums and criminals thereby creating an opportunity for crime and insecurity comeback in the State. While the security downturn lingered, crime and vices festered and gained more grounds, the State government became more confused and helpless than ever. Innocent residents bore the brunt of government's inability to protect lives and properties. More bizarre and irresponsible, was the fact that the government appeared unfeeling and unbothered about the minatory security situation that has led to the loss of lives of innocent residents, rather, the government found a preferable enterprise in senseless politicking and trivialities. Recently, as a result of the deafening public outcry, the Rivers State Police Command has made laudable progress in combating crimes and criminality in the State through its Special Anti-Robbery Squad, SARS, operatives led by Officer Akin Fakorode. This breakthrough in bursting crime and curbing insecurity is despite the unmitigated attack by the Governor against the SARS operatives. The Governor has never hidden his odium for men of the SARS and has failed to project convincing apolitical reasons why he has made the abolishment of SARS in Rivers State a top agenda of his government second only to vilifying former Governor Amaechi. We are bewildered that a security outfit like SARS that has shown so much professionalism and contributed immensely to the relative peace and reduction in crime rate in the State is being vehemently opposed by the Governor who should ordinarily do all that is possible to ensure adequate security of lives and properties. This is a pointer to speculations that the Governor directly or indirectly provides the thriving environment for crimes and insecurity. It is visible that there is now a commendable reduction in crime rate, security has improved, the endless kidnappings along the Rumuji axis of the East/West road has been reasonably curtailed, there is a near absence of headless bodies on our streets, Car theft has considerably reduced, assassination has been sufficiently curbed, cultism and cult related activities are fast becoming history and the usual Nightlife and bustle that once characterised Port-Harcourt City is crawling back. We find it worrisome that the Governor would still kick against the SARS despite these sterling achievements. With all sense of patriotism and commitment to a safer Rivers State, we commend men of the SARS and other Security Agencies in the State for their professionalism and effective discharge of their responsibilities without fear or favour and urge them to do more until Rivers State becomes a place where residents can live, work and play, once again.